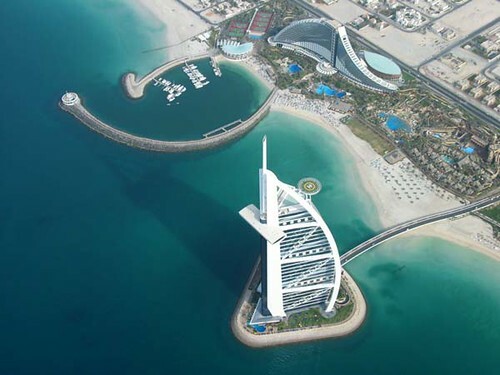 6 Things You Didn’t Know About Dubai! 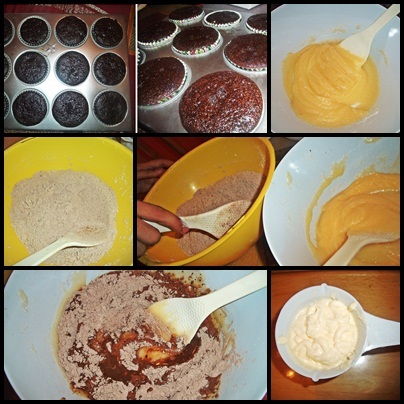 Do you still remember my post about my first try in baking cupcakes? Well, we never gave up and tried to improve it more. 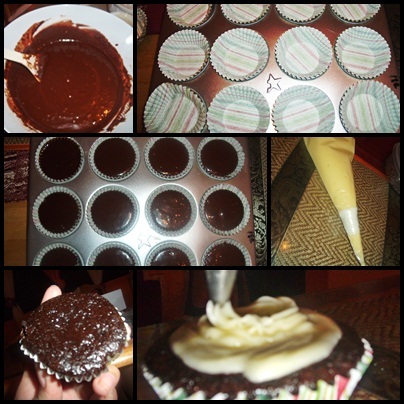 My kids are always fond of trying to bake pastries, cakes and cupcakes especially during their summer vacation. They even thought of enrolling in a baking workshop. But this time, they manage to do it successfully by themselves with the help of online research about different baking recipes. My kids really enjoyed baking as well as doing their own designs. 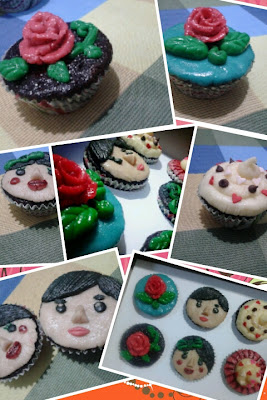 I don't know how they come up with these really cool cup cake designs. Aren't their designs cute? What do you think? Hehe. I'm sure everybody will get interested to know what the best investment should be and if I could guess it right, the first thing that would come to your mind has something to do with money or financial investment. Well, I wouldn't blame you as money can be powerful in so many ways. It can make us live comfortably, get what we want and can even put us on a higher level where people would normally look up to us. That's fine and I think it's normal, everybody wants to have a good future. That is precisely the reason why everybody is working really hard these days. But as a gentle reminder, we should not be forgetting the best investment, and that is investing on good health. I've heard a lot of stories about people suffering from sickness during their old age and this is simply because we have neglected our most important garden, our body! Men used to smoke, drink alcohol, gamble and even had the curiosity to try taking drugs during their younger days and as a result, they are reaping what they have sown when they hit the prime age. We often say, it's fine, I can eat what I want, I can do what I want to do with my body. After all, I'm young and I deserve to enjoy life. Well, it might be true and we all deserve to have a good life and enjoy it to the fullest but there is a correct way of enjoying life, and that is to enjoy life even at your prime age. I just thought that what's the point of enjoying life and abusing your body when you are young and then suffer the consequences of your actions when you get old. I think that for us to enjoy life fully, we have to enjoy it til our last breath. How could we achieve that? By being healthy! When do we have to start? Now! It's good to start being health conscious as early as during your 20's but if we are already in our 30's or 40's, I think it's not too late. We still can correct things and let things work according to our advantage. How do we achieve that? 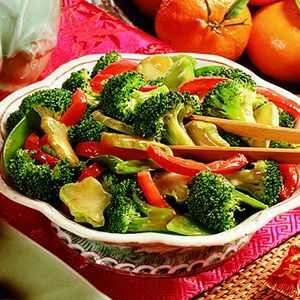 By eating the right kinds of foods, having a regular exercise and being happy and have a less stressful life. To start with, I made a promise to myself that I would cut down on meats. I said cut down because I don't want to do things abruptly. It's always hard to start anew. We have to do things gradually. Probably, I would be taking veggies and fruits only from now on. No meats from now. I know it's easier said than done but at least, I should give it a try. Having said that, I also thought of cutting down on sodas. I love to drink Coke although not too much, but for now, I will try to completely avoid it while I'm taking this challenge for a healthier me. I don't have problem with my size actually. I was a bit fortunate to have a fast metabolism and I don't simply get fat by eating too much. Of course, I am happy when my friends and colleagues are asking me if I have a secret or a diet plan that works well with me but honestly, I do not have one. I seldom exercise either. Maybe, I was just lucky at that. But my move now of being more conscious about my food intake is to be healthy more than having a good figure. I want to enjoy a longer life with my family and to prepare for that, I have to be completely healthy. I hope I could be successful in achieving this. I really have to start now. I had been working night shifts 2 weeks in a row..... maybe I'm still trying to adjust myself again as I'd been sleeping on a normal schedule back home for almost a month. But it's not really that bad, as I am still able to manage updating my blogs, although not as often as before. Anyway, I guess everybody is going through this stage and I know that I will get over through it soon. There are lots of things going through my mind lately and perhaps this is one of the reason why I feel restless now a days. Issues about work, family, personal plans and a lot more. For now, all I want to do is to have a peace and quiet moment with myself so I could regain back my strenght and interest with everything.....soon. Home to sweltering summers, warm winters, some of the best shopping in the world, amazing buildings, and as one of the world’s most popular tourist attractions, Dubai is definitely a place you should put on your must visit list. It is the top destination for luxury homes in the world, and boasts attractions for everybody, whatever you’re into. Because tourism is so important in the country, new attractions are constantly being built to attract new people, so you’ll find that there is always something to see and do. Flights to Dubai are readily available; however, before you make your way there, there are a few things it might be handy to know. Dubai is a male-dominated country, and has a male to female ratio of 3:1. Although it is a country where women are often oppressed, they are being granted more freedom now due to the women’s rights movement which is spreading across the Middle East. However men still make up most of the work force in Dubai. Dubai’s customs regarding respect for women are very different to Western customs. For example, instead of holding a door open for a woman, the man will walk ahead of her to lead a safe path. Only 20% of people in Dubai are actually from Dubai. The other 80% are people who have moved there from other countries. Arabic is the official language of Dubai, but because of the amount of people from other countries, English is actually more widely spoken. Dubai is also shrinking. Because the population is increasing rapidly, it’s leading to more developments and therefore less space. Dubai is the first country to have it own man-made islands because of this. There are an estimated 10,000 new people arriving in Dubai each month. In Dubai, it’s a good idea to carry around some paper and a pencil with you, because none of the streets have names. This makes giving and receiving directions extremely difficult, and it’s handy to be able to draw a map instead of just describing verbally. For this reason drawing skills are also handy in Dubai. Don’t even attempt to get something delivered without giving the delivery man a map first. 4. Have you said your daily prayers? Devout Muslims pray five times a day, and since Dubai is a Muslim country, wherever you go, you’ll hear five calls to prayer a day. 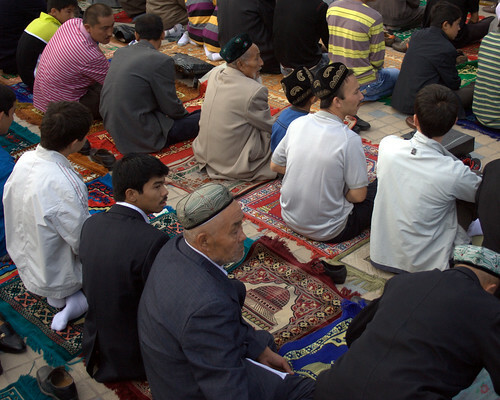 The calls to prayer are even played through loudspeakers in shopping malls, reminding Muslims that it is time to stop what they are doing and carry out their daily prayers. The earliest prayers begin early in the morning before sunrise, and the latest begin one and a half hours after sunset or later. However, there are other religious groups in Dubai, too, so not everybody takes part in this. Contrary to popular belief, it is not oil which makes up the majority of Dubai’s economy. In fact, oil makes up less than 6% of Dubai’s GDP. It is actually tourism which makes up most of the economy, and with the huge amount of visitor Dubai receives each month, this doesn’t appear to be failing any time soon. Dubai is home to glorious weather and some amazing sights, as well as gorgeous beaches, so it’s no wonder it’s such as popular destination for tourists. Dubai is extremely ambitious and is home to the tallest man-made structure in the world, the Burj Khalifa. This building houses the world’s highest restaurant, the world’s tallest occupied floor, and the elevator with the longest distance to travel in the world. It also holds the highest fireworks display in the world. The building is 828 metres tall. 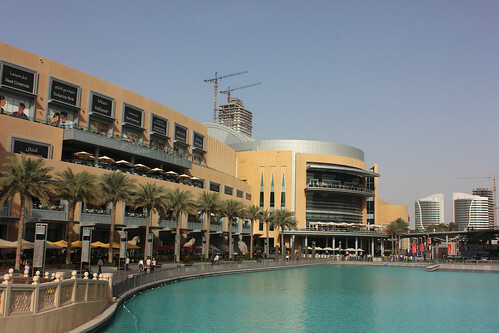 Dubai is also home to the world’s largest shopping mall, the Dubai Mall, which is home to 1200 retail outlets, 160 food and beverage outlets and two department stores, as well as the world’s largest aquarium. When I was at home last month, I had the opportunity to enjoy summer at it's best. Having dinner outside, watching movies, swimming and shopping were some of our activities. But despite of the hectic schedule, I never failed to look after our home and made sure it was spotless! :) I've done a massive clean up and some organizing jobs. During the process, I was also thinking of some ways to conserve the energy. You know, like cutting on electricity bills as air conditioning unit is always on as it was really very hot. I thought of putting off lights when not really needed. One of the ways to do it is to use some curtains that could get natural lights to come inside the house easily. I've tried to find burlap drapes as I was told that 100% Jute burlap curtains create a natural look and allows some sunlight to get through the house easily. Aside from that I also love it's earth tone colors! So natural. Burlap drapes can give a beautiful, casual and romantic look to your homes. try it! Hubby and kids prepared the foods and table set up for our boodle fight at home. I didn't do anything (hahaha!). I think that time, I was busy blogging and besides they wanted to surprise me. (*winks*). I really ate a lot that day and it was really a good bonding time with the whole family. My Mom, and our house helper "Ate Elsa" enjoyed as much and we all shared the same idea of doing it more often. That is when I am in the Philippines. For now, I am just happy enough to reminisce our boodle fight experience at home. Best of all, Ate Elsa felt delighted that she didn't have plates and utensils to wash (lol). In fairness, sarap talagang magkamay!